DW a.k.a Dwight Fisher, is an active blogger on the Standupzone forum. He lives in North Carolina and an Engineer by trade. 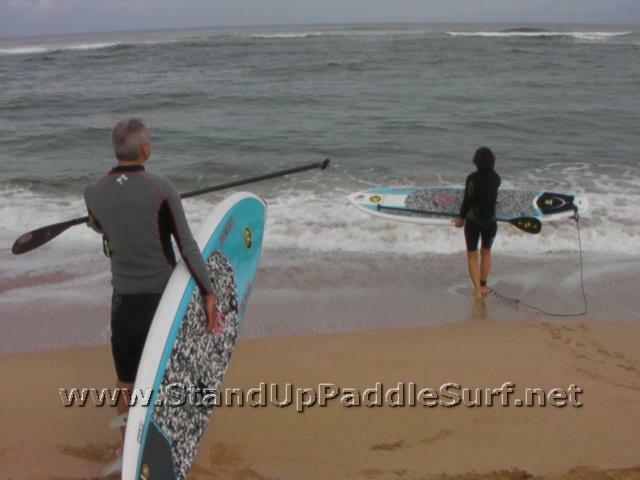 Both DW and his wife Jacky, are SUP addicts. 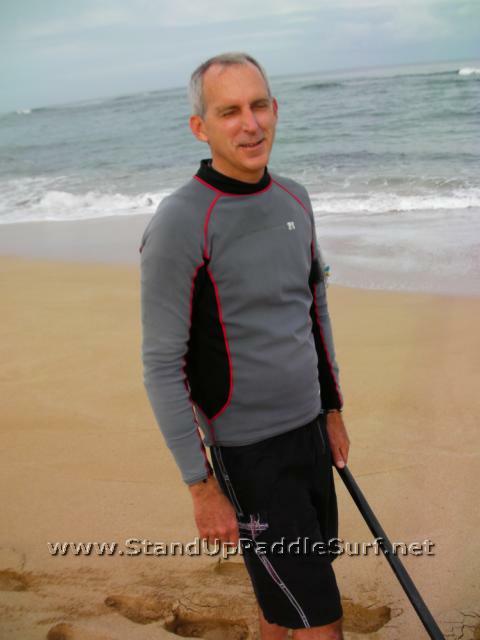 He has a great blog at http://ncpaddlesurfer.blogspot.com/. DW and Jacky are fun to hang out with and a very nice couple. 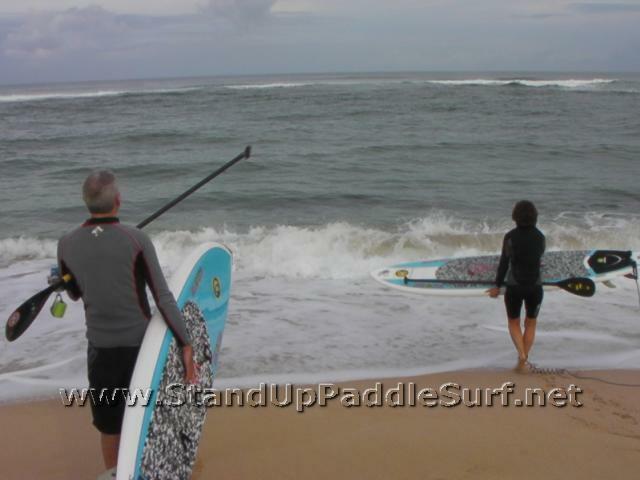 They were on Oahu for the week of January 26, checking out the North and South shore for SUP surfing. They went everywhere from Waikiki Canoes to Diamond Head and North Shore. 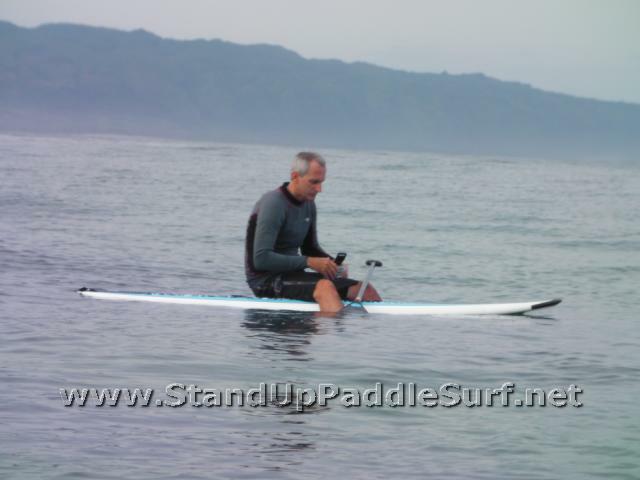 They even got a chance to join some paddling clinics and hang out with Todd and the C4 crew in Waikiki. Since none of them wore booties and there were sea urchins on the reef, Jacky stepped on it and hurt her middle toe. Jacky is a tough trooper and managed to stay out for another hour and paddled around while having a blast. It was a nice day and the surf break was empty when it’s normally crowded. But that day, it was a slight overcast, there were no winds, glassy condition and it was perfect for them to come to Hawaii. We paddled around between the North Shore and we had a great time. The Himalayas waves were 2-4 Hawaiian scale, which is about 4′- 8′ on the face. The North Shore waves are much more powerful and ‘juicy’ than the South Shore. Overall, DW and Jacky both surfed well and we all had a great time together. Cool. I wondered what happened to the video you shot that day. « Kalaoa Paddle Company Free Paddle Giveaway!